The Malcolm Montage: Welcome Davis Tillman Jackson! 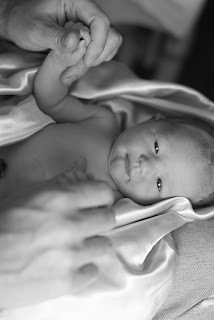 My sister's family (Stacy, Ryan and Alyssa) welcomed a beautiful baby boy into the world last week! Born Sept. 30th, 8 lb. 6 oz. 22 in. long. Welcome to the family Davis! We love you already! !